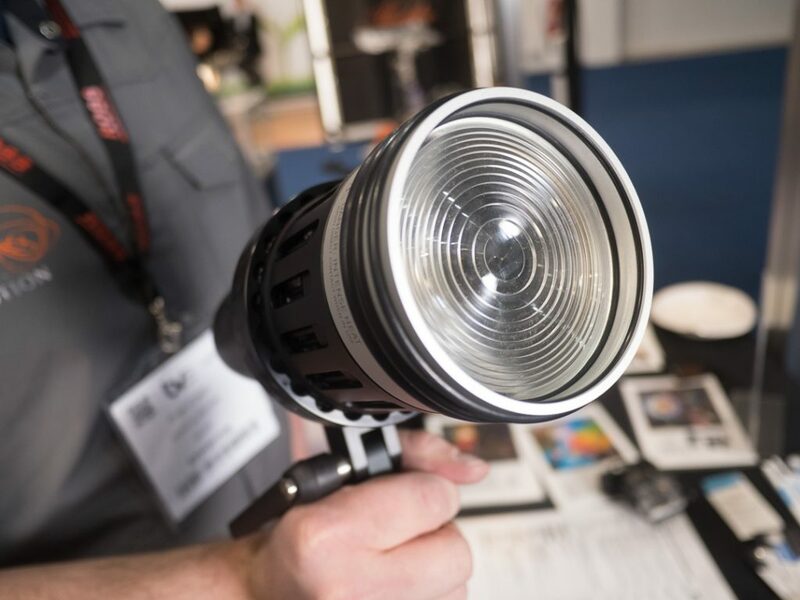 The Light and Motion Stella Pro 8000 packs a punch at 8000 Lumens with 14,210 Lux at 1 Meter with Fresnel lens attached. The fixture is designed for ENG type shooting environments with its weatherproof housing and internal rechargeable battery. A nice feature is the ability to use the light while it’s charging. 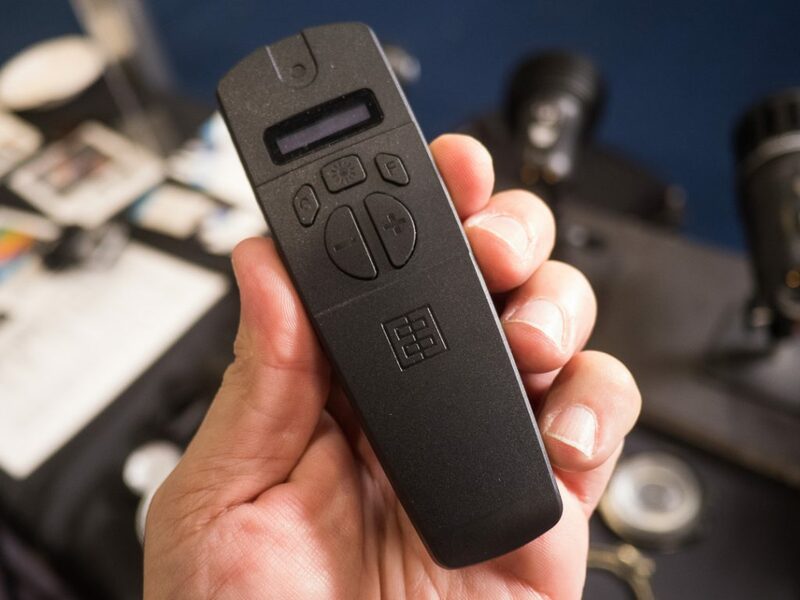 An optional remote allows the control of several other Motion and Light Fixtures. The fixture can run on AC as well as D-Tap external battery. 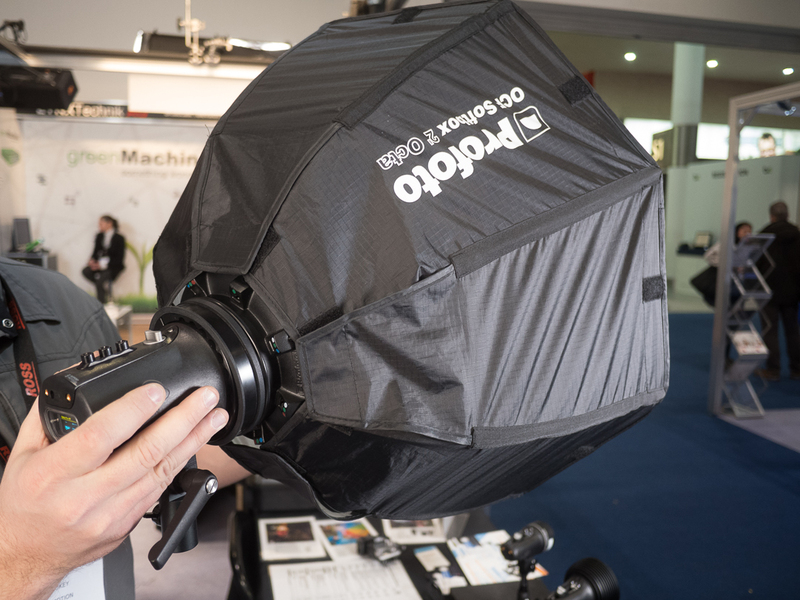 You can add a Profoto softbox easily to the Stella 8000 Pro making the small and punchy light very versatile. 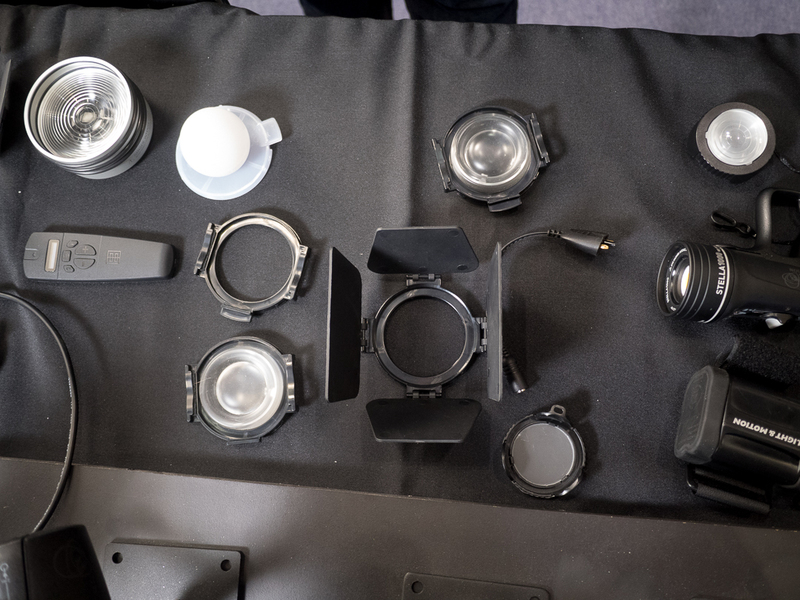 The light comes in daylight 5600K as well as tungsten 3000K. The COB fan head is removable and can be swapped out to either color temperature simply by pulling the COB module. No tools required. The COB Fan Heads cost $480 each. The Stella Pro 8000 RF Action Kit retails for $1,799. and includes the following. 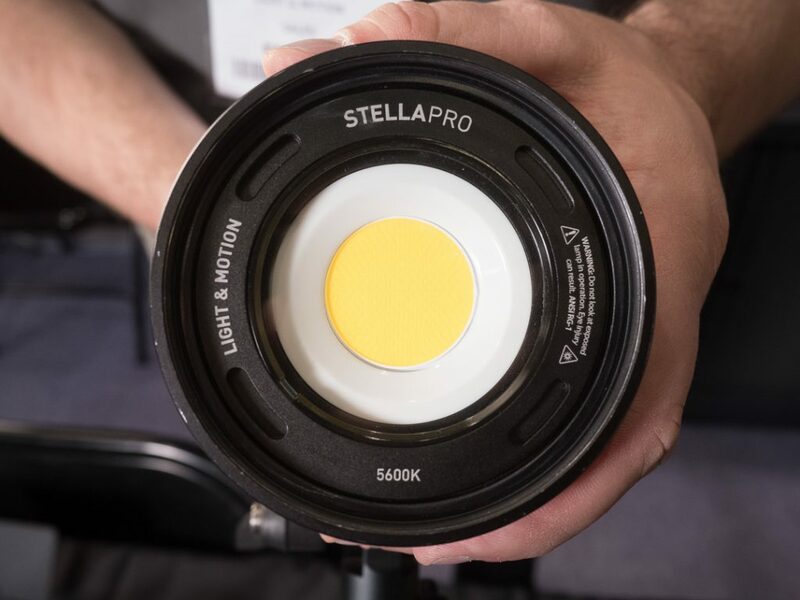 Visit the Light & Motion website to view the full range of Stella Pro lights.